There are many advantages to using structural adhesives for joining materials. Unlike mechanical fastening, using structural adhesives doesn’t damage substrates, as there is no heat distortion which would be caused by welding, and there is no need to drill holes. They also don’t cause stresses to be concentrated at a few locations. Finally, they don’t leave protrusions sticking out or require finishing steps. 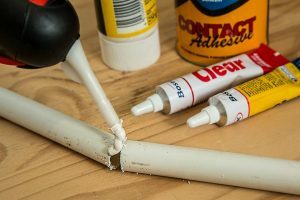 When choosing the most appropriate structural adhesive, the most important factors are what the end-use conditions will be like and what the adhesive will be required to bond. To support structural engineers to select the most appropriate adhesive, a number of global standard tests have been developed. The results of these tests detail the types of materials adhesives are capable of bonding and how they react under various conditions. Humidity – will the structure be exposed to rain? UV exposure – will UV radiation from the sun be able to penetrate the substrates? Chemical resistance requirements – will the structure be regularly cleaned using acidic or base solutions? Mechanical challenges – will the structure be subjected to high impacts or vibrational forces? There is a wide range of structural adhesives commercially available, and these are often categorised by their chemistry. 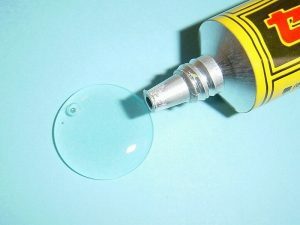 The most commonly used categories are: epoxies (which come in one- and two-part formulations); acrylics (which come in two-part and two-step formulations); urethanes (which are two-part formulations); and cyanoacrylates (which are often referred to as “instant adhesives”). The different categories of structural adhesives are appropriate for different purposes and conditions. For example, when selecting a metal bonding adhesive, such as those produced by ct1ltd.com/product-applications/metal-to-metal-adhesive/, it is important to consider the type of metals which are to be bonded. Steel can be relatively easy to bond, but metals with high oxide contents such as aluminium can be more challenging. If you are looking to bond wood to plastic for use outdoors in a situation where there may be significant movement of the substrate, then it would be sensible to consider urethanes due to their high flexibility. However, if a higher-strength bond is required, then a flexible epoxy may be more appropriate. Understanding the bonding requirements and the characteristics of different types of structural adhesives will help you to select and use the best option.